Console players were finally able to jump into Elder Scrolls Online‘s new Wrathstone DLC yesterday, and some PlayStation 4 players found they had to wait a long time to move between zones. 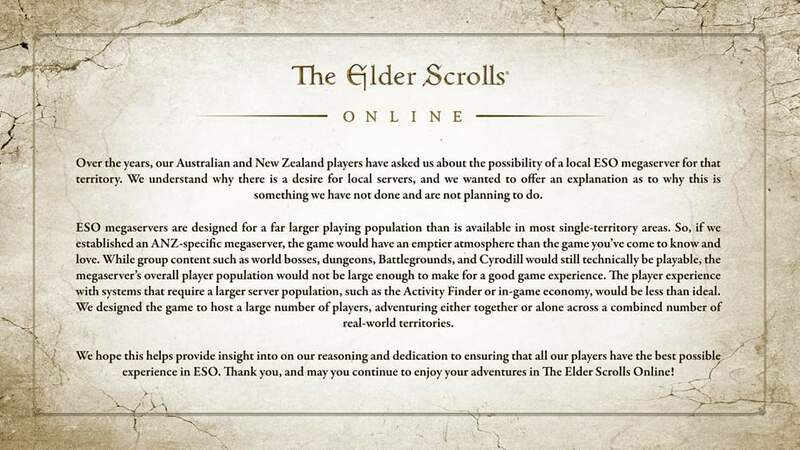 Then on Facebook, the ESO community team decided it was time to give the Australian and New Zealand players some bad news. It’s a tough one, so strap in. Console players jumped into the first part of Season of the Dragon yesterday. Two weeks and one day (but who’s tracking the days?) after PC players could tackle the two new dungeons, PlayStation 4 and Xbox One players could finally find the pieces of the Wrathstone for Abnur Tharn and get a cool Ayleid Royal Crown. But some PS4 players, like those on Reddit, have had some load-time issues. Some players even complained about having to wait 20 minutes between zones. It’s possible that the issue could be fixed by restoring your license, but even after the possible fix was suggested, players still had issues. Thankfully, it doesn’t appear to be widespread, and ZeniMax hasn’t felt the need to make an official statement yet. 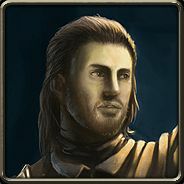 However, the ZOS community team did take to Facebook to talk about an Australian and New Zealand megaserver. Despite continued lag and load-time issues for the South Pacific, ZeniMax stated that “ESO megaservers are designed for a far larger playing population than is available in most single-territory areas.” The team explained that despite the fact that it would technically be playable, it believed that there would just not be enough people to create a “good game experience” for the players, especially in Battlegrounds, dungeons, and Cyrodiil. If it’s any consolation, the single-player portions of the game seem to work well in Australia, on PS4s, even. 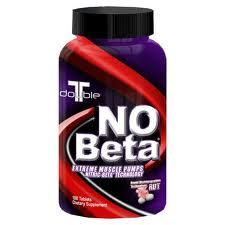 Why would anyone suggest ZOS don’t know without trying? They presumably know precisely how many players they have from that region and whether that number would make for a viable server. I understand the frustration of players in that region, but trying to argue (as someone did with me recently) that it’s a huge region completely misses the point which is how many players there are in the region. ZOS knows that better than anyone. “How would you even know without trying”? I’d expect ZOS has little things like sales figures and concurrency numbers to show just how feasible it would be. Not knocking the requests, I know how bad the ping is. Expecting them to open another office is probably unreasonable.